I found it by pure chance. 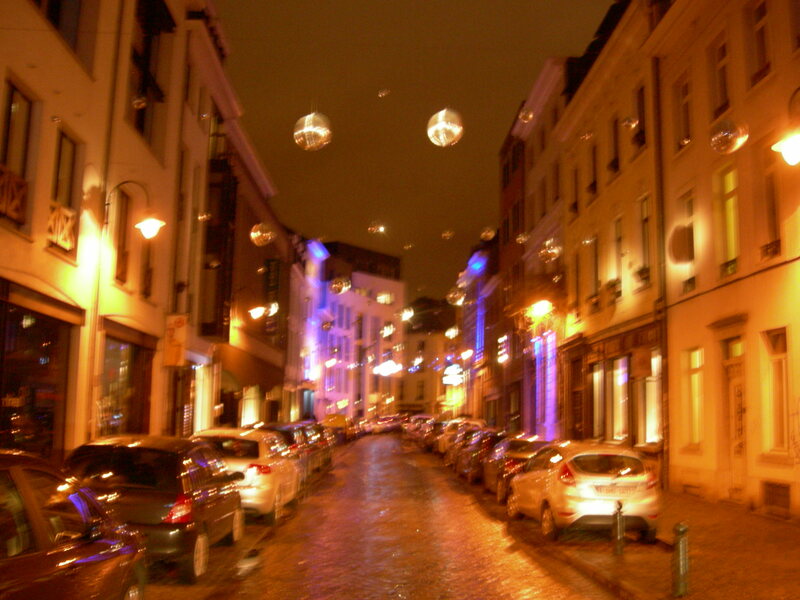 As I walked out of the crowded streets around Grand Place and made my way towards Sainte-Catherine square, I suddenly was at a different place. Deserted. Quite. Private. 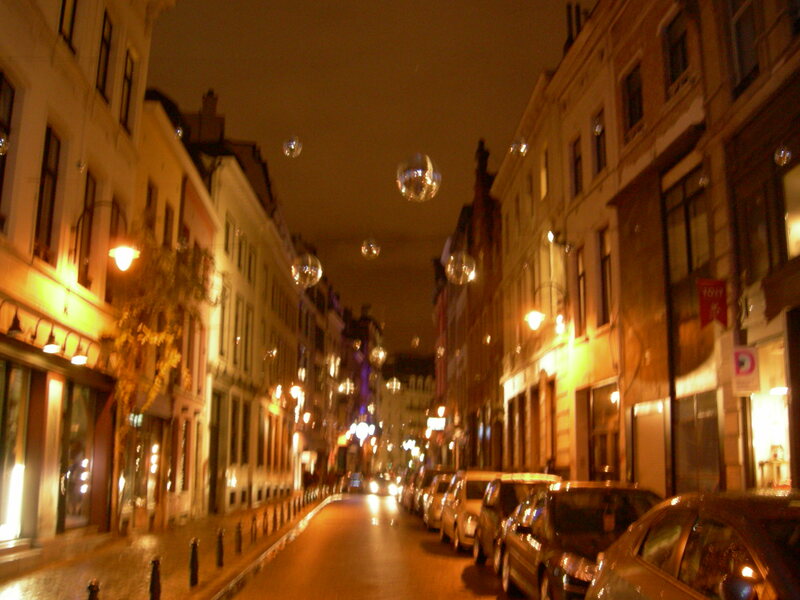 A short street with silver balls hanging over it and spreading around their metallic shine. There was both intimacy and wonder in this unexpected street which has gathered all the promises, offered by Christmas, in its delicate glamour. A space to walk through slowly and silently with a significant other. A space to stop and contemplate true magic. For magic is always authentic, always private and not always too obvious. Like this street. Rue du Vieux Marché aux Grains. Even its name is simple and evocative. And suddenly I see night grain fields with a multitude of silver full moons hanging over them. Surreal. 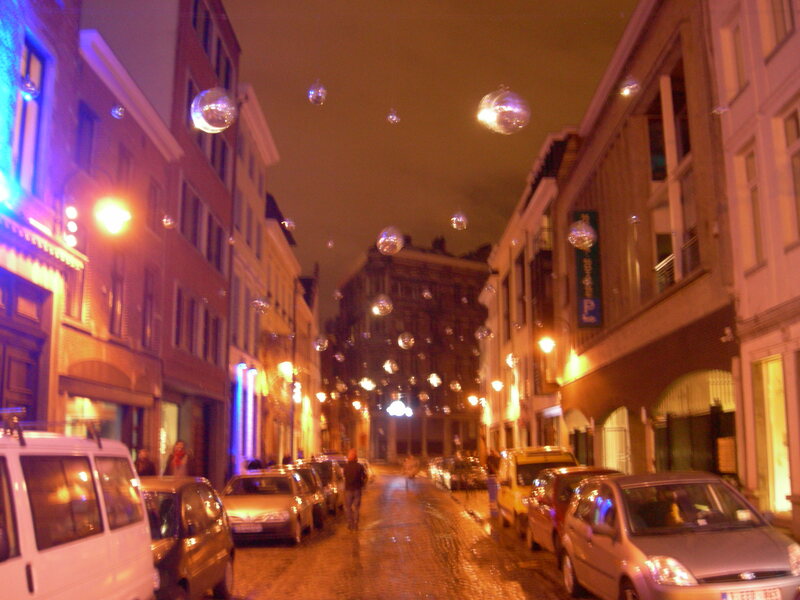 Rue Chartreux, which meets ends with Rue du Vieux Marché aux Grains, enjoys the same sort of decoration and similar solitude. What makes the latter more special to me is its cobble stone cover inevitably reminding of other times. The Plaisirs d’Hiver continues till 5 January. 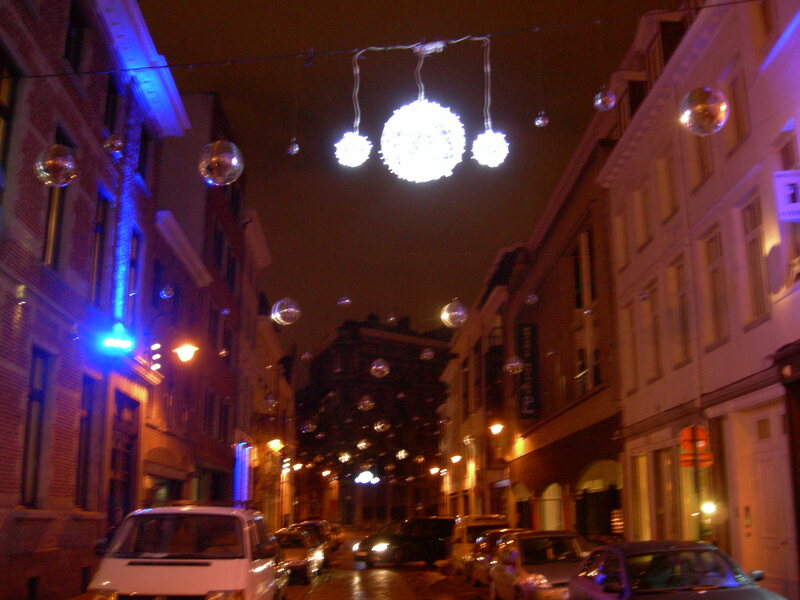 Still a few days left for private experiences in my private Christmas street. Tags: Brussels, Christmas, Christmas market, Grand Place, Rue Chartreux, Rue du Vieux Marché aux Grains, Sainte-Catherine. Bookmark the permalink.